Building a home is an important undertaking that requires much thought. There are many different aspects of the process that must flow efficiently to get the best desired results. From choosing a builder, to deciding on a custom home, certain elements cannot be overlooked. Factoring into the decision process are things like total cost, degree of customization options, building process time-frame, and avoiding delays that can affect your stress level. 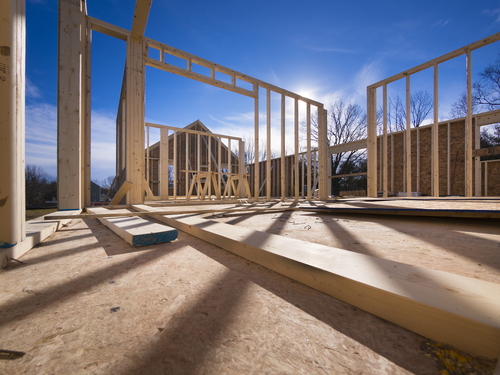 Here are some helpful tips to consider when building a home. Is Building in Your Budget? The big question is, “Can you afford to build?” It’s ill-conceived to try and build a home that you cannot afford. Establish a budget and come up with an accurate estimate of construction costs. You want to consider factors such as location, home builders, material and labor costs, keeping in mind that unaccounted costs could pop up and easily balloon your budget. Defining the features that you want in your home is an important early step. Create a list of your needs and wants for your home before you seek estimates from builders. Maybe you want an entertainment room, marble kitchen countertop, or a smart bathroom in your home. Specific details regarding house features can help you establish a more accurate estimate and ensure that you get the home that you desire in the end. Finding the right builder to construct your home is vital to success. To find a builder that has a solid reputation and experience, do your homework before signing a contract. You want a builder that is skilled and respected for providing quality products and services. Seek trustworthy references from friends and coworkers who employed a builder for constructing their home in the past and customer referrals from builders as well. Arm yourself with as much information as possible before making a decision. Building a home is a big job and even a skilled builder cannot make predictions about how every aspect of the process will progress. It is possible to run into minor or major issues with the construction that could be related to permits, weather, or delays in getting certain materials. A way to plan for the unpredictable is to prepare to be flexible in the construction timeline. At Fluent Design Group, we deliver quality work through commitment to craftsmanship, superior design and provide satisfactory service. We’ve got you covered from concept to conclusion. Next Post How Long Does it Take to Build a House?